Last February Chicago-based orch-pop band Canasta made the long journey from the Windy City to the windy steppe. 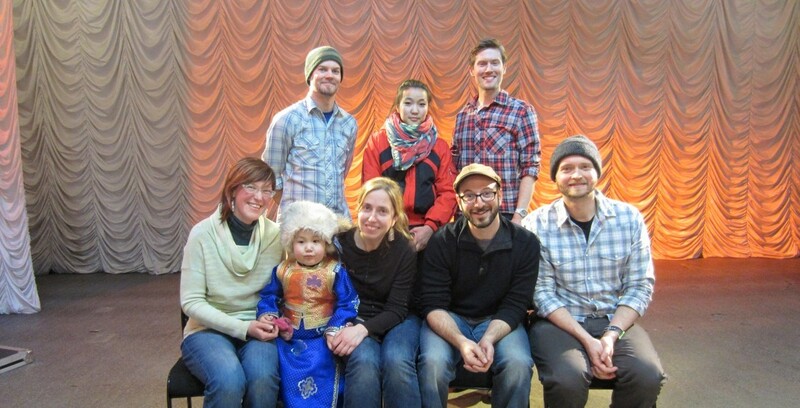 They came to Mongolia as part of the U.S. State Department’s Arts Envoy Program. 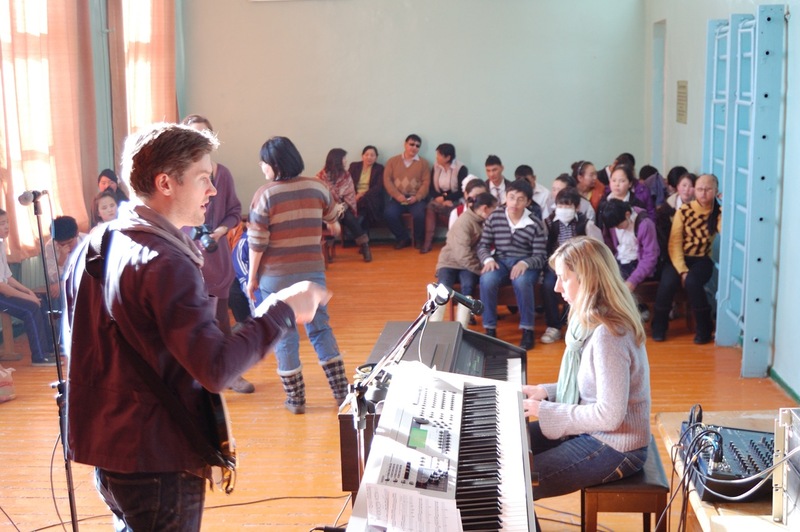 Over the course of their week-long stay, the six-member band played two shows in Ulaanbaatar and traveled to Tsestserlig where they performed for and worked with students at a school for the visually impaired. I caught their performance for C1TV’s live music show, ‘Big Break’, and was taken aback to hear a true American indie rock band after having been in Ulaanbaatar for 4 months. Unfortunately, I didn’t have a chance to catch up with them at the end of their trip. But violinist and singer Elizabeth Lindau was kind enough to answer some of my questions via e-mail after their safe return to Chicago. What prompted you to apply for the State Deptartment program? Elizabeth Lindau: Well – I love to travel, especially to exotic/unusual/remote locales. So when I found out that the State Department brings performers overseas to showcase US artists and art forms, I set out to see if I could convince them to choose my band, Canasta. Usually they select groups that are more traditional–blues, jazz, bluegrass–whereas we’re an indie rock band. But indie rock is definitely a vibrant American art form these days. Did you choose Mongolia or did the State Department choose for you? EL: Well, through a circuitous route, I got the name of the person in UB who puts together the applications to have performers come over. I pestered her for, oh, about a year and a half, until she put together an application for us. What did you know about Mongolia before you came? EL: Mostly the stuff that most Americans might know: Genghis (Chinggis) Khan… yurts… the Gobi desert. Did anything surprise you about UB or Mongolia while you were here? EL: Well, when you visit Mongolia in February it’s hard to not comment on the cold. We had a hard time figuring out how to prepare for it. Some people told us “Oh, it’s not as bad as you think” and others were a bit more serious. We ended up borrowing a lot of cold weather gear from friends and family. And we all obtained nice Sorel boots, which were totally necessary. During the van ride around the countryside, we had a lot of debates about what our coldest moment was. Megan and I swear it was when we got out of the van to take pictures of yaks. Other people voted for our midnight arrival at the airport. Another thing that we noticed is that people just seemed really tough. Like, strong and resilient. I can’t speak for the others, but I felt pretty wimpy in comparison. You had a chance to travel around the countryside in central Mongolia, what were your initial impressions? EL: Wow – that’s a big question. First of all – I’m SO glad we got to see the countryside. UB is interesting and has its charms, but the countryside was really astounding. A decade or so I spent a season working in Antarctica, and I kept saying to the band, “You don’t need to go to Antarctica, this looks and feels so similar.” The vast distances with nothing, no trees or buildings, dark rocks covered with a light layer of snow… it evoked the Antarctic landscape for me. 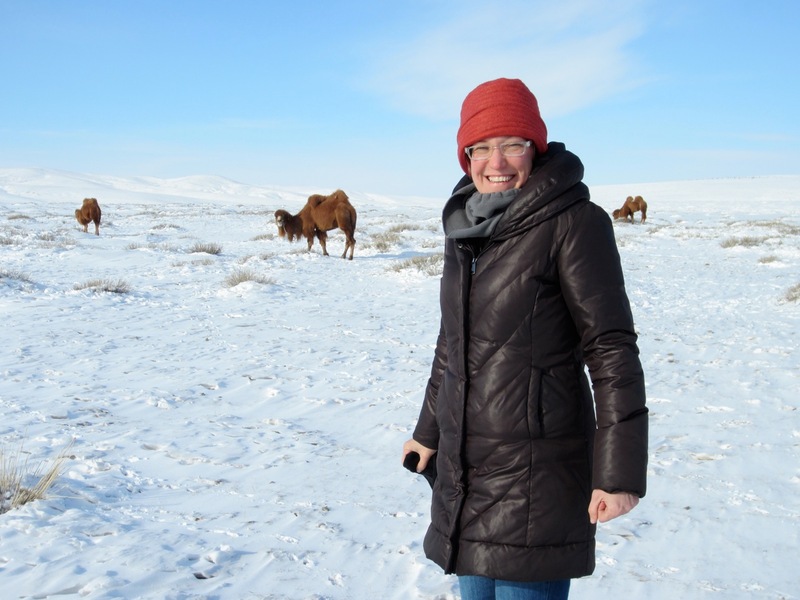 And, not to dwell on the cold, but it was a lot colder in Mongolia than it was when I was in Antarctica. It was one of your bandmates’ first trips abroad – what was it like for him to experience Mongolia? Brian Palmieri: Mongolia, for me, felt surprisingly familiar. It could have something to do with having grown up in Alabama and experiencing, small town, rural living. I tend to identify as more of a “city boy”, but I can appreciate what it’s like living in an area that’s culturally homogenous. It was really fascinating being in Ulaanbaatar and seeing both the similarities and stark contrasts to Western culture and being in the rural areas where life seems to be much simpler, revolving around raising children, producing food, and maintaining a home. Living in Chicago, you get used to the faster pace of life and with the city being so densely populated, the people around you tend to blend into the scenery. Everyone here seems to have their own special agenda or set of priorities, whether it’s being an actor, or a chef, or a musician, or a businessperson. In Mongolia, at least in the rural areas, it seemed like there was an appreciation for things like the arts, crafts, and sport, but the Mongolians seem to approach these things from a traditional, cultural position rather than as a means of self-actualization or self-expression as they often do in America. I could be wrong, but that’s the impression I got. You worked with a school for the visually impaired, what was that experience like for you and what did you do? EL: The visit was certainly one of the highlights of our trip. We performed for the kids and answered a bunch of questions. We brought along shakers from the Old Town School of Folk Music in Chicago, and gave them out to help encourage the kids to participate. At the end of the visit, one of the students got up to sing a song for us. He was pretty shy at first and didn’t sing right away, but after some clapping and encouragement, he launched into the school’s anthem. His voice was so clear and strong, and eventually all the students joined in. It was really moving. What were the takeaways from this trip – anything that sticks out now that you’ve been home for a couple weeks? EL: I need to start a business importing sea-buckthorn juice. We all liked it; I think it will be the next acai berry. How does this tour compare to other tours you’ve done in the U.S.? EL: In some aspects – totally different, in the obvious ways (language, culture, etc.). However, other stuff was similar to what we experience touring here. When we’re playing in the US, we’re often sleeping on floors of people we barely know, or pulling up at a venue where we have no idea what the sound situation will be like. So the feeling of “who knows what it will be like when we pull into town” was familiar. Did the trip help you bond as a band any differently than touring in the U.S. might? EL: In the US we don’t have our own van, so we end up traveling with two cars. There’s six of us, so we split up three and three. Sometimes it can be convenient – like if we’re staying in different places or one car needs to leave early. But we never really get to do a lot of band bonding, since we’re never all together at the same time. 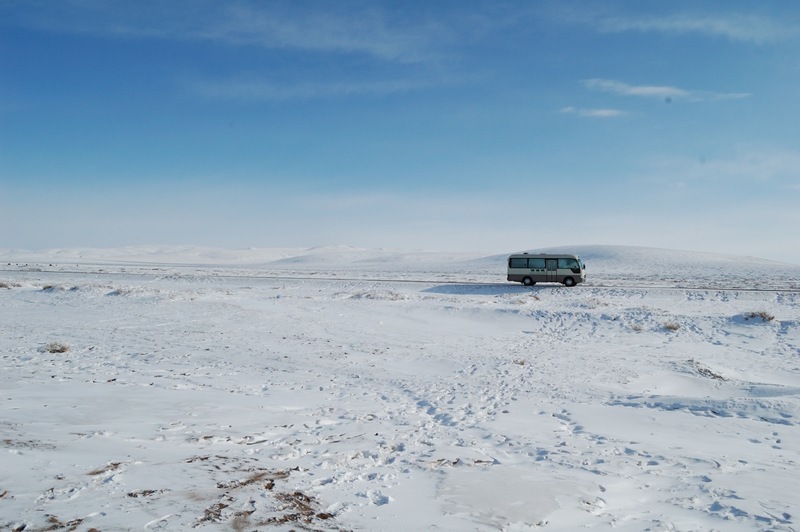 Having our own giant van and driver in Mongolia was an awesome treat. Is this an experience you would want to repeat in another country? I’d definitely be up for it! Will there be any songs coming out of this trip? EL: We took a quick video of these incredible musicians who performed for us. We were really humbled at how talented they were, and how they were able to just pick up their instruments and play, without any setup, or amps, or gear. We’re inspired by that simplicity and are hoping to include some aspect of that in the future. Listen to an interview Canasta did with Chicago’s public radio station, WBEZ, when they returned.